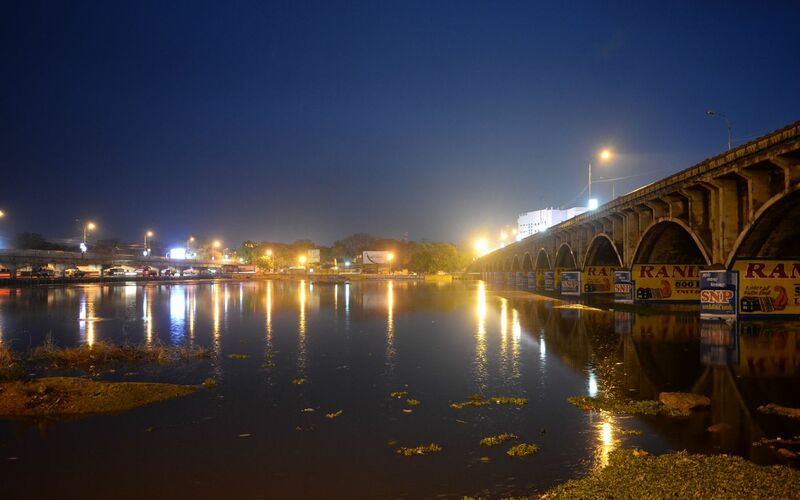 A funny thing happened in Madurai the other evening – it rained… for a city that’s been parched the last couple of years with failed monsoons and that’s been enduring regular water rationing, there was a certain giddiness in the air when for a couple of hours on Wednesday evening last, the heavens opened. Even the River Vaigai that runs through the city briefly resembled well, a river… There was of course a full report in the Times of India. Btw, yep, I’m back in India – it would seem it is possible afterall, to leave India and get a second back-to-back tourist visa – so hopefully there’ll be a few more posts from these parts yet. This entry was posted in Uncategorized and tagged India, Madurai, Rain, Tamil Nadu, Vaigai River on May 7, 2014 by jp1100001.